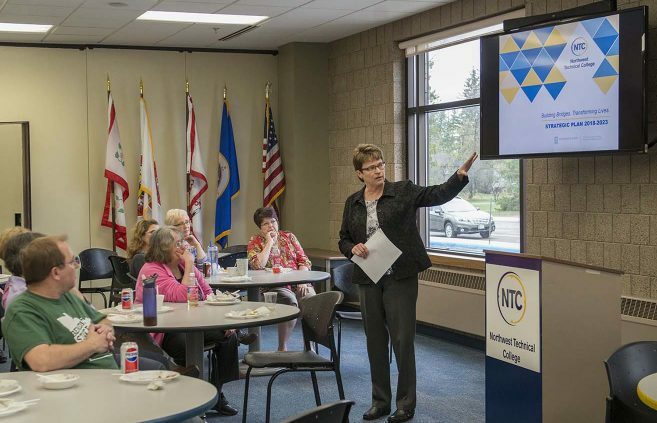 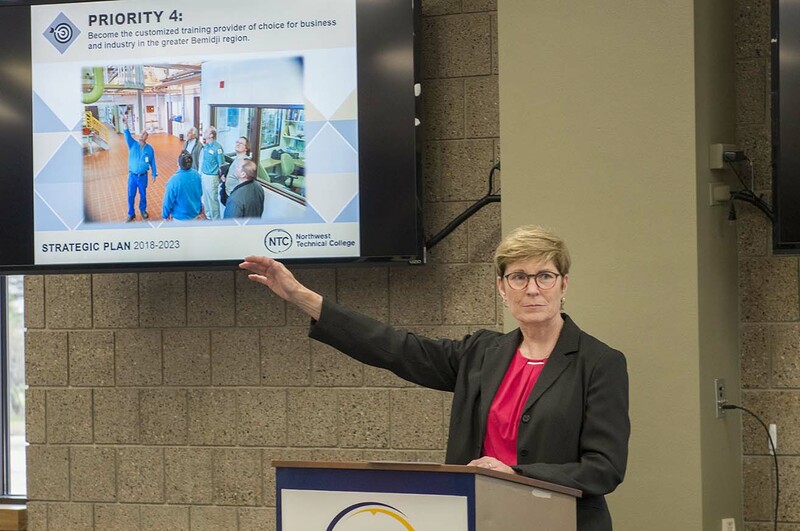 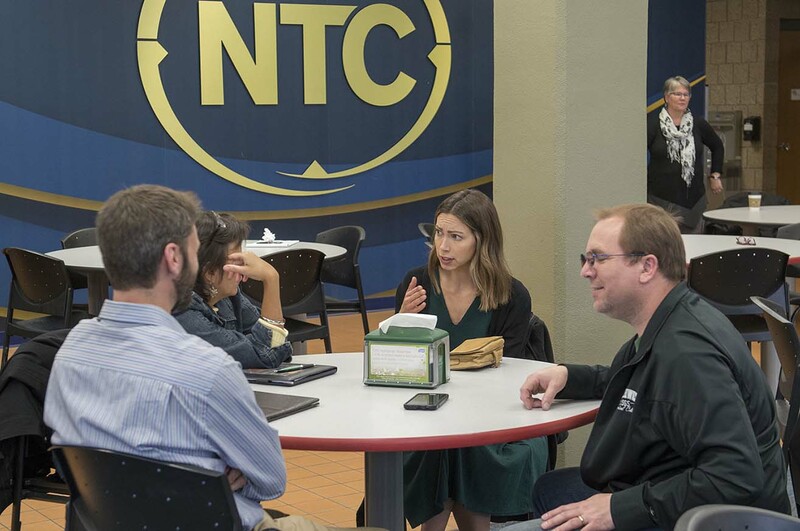 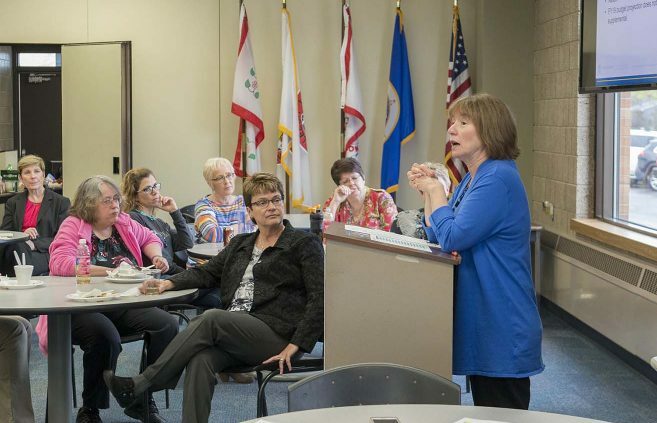 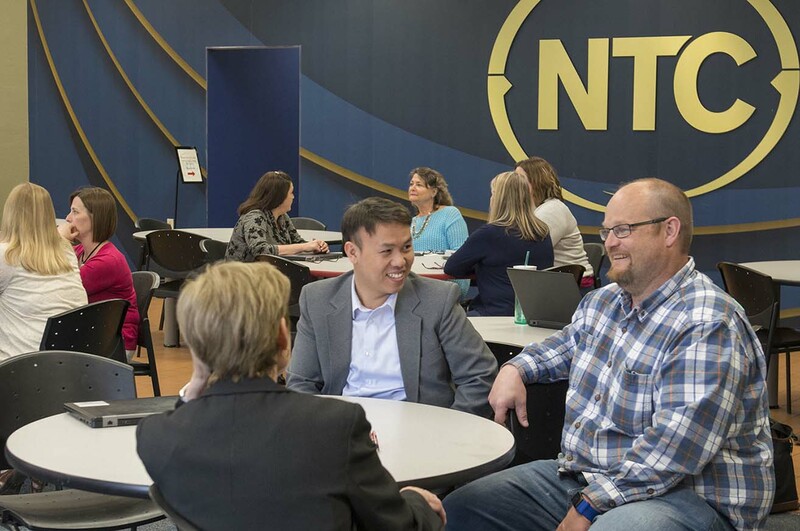 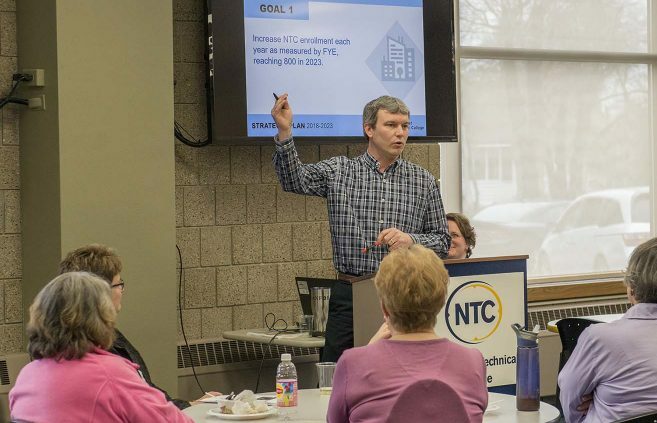 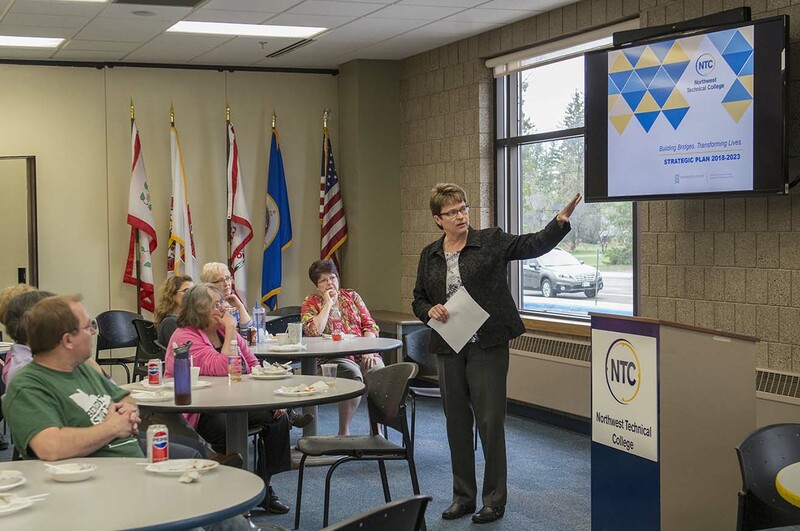 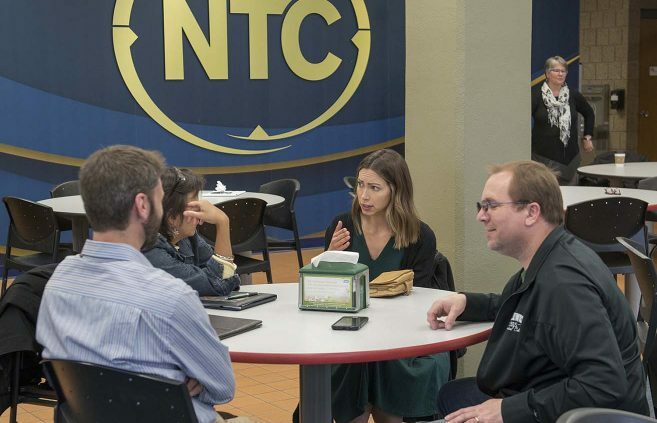 The pair, and others, presented the draft Strategic Plan 2018-2023 to a group of faculty and administrators May 9 in the NTC Commons. 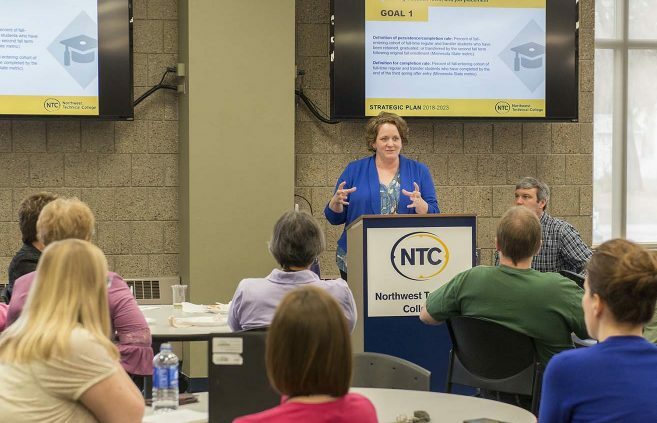 The plan establishes four priority areas for the college, each supported by a series of goals and key activities. 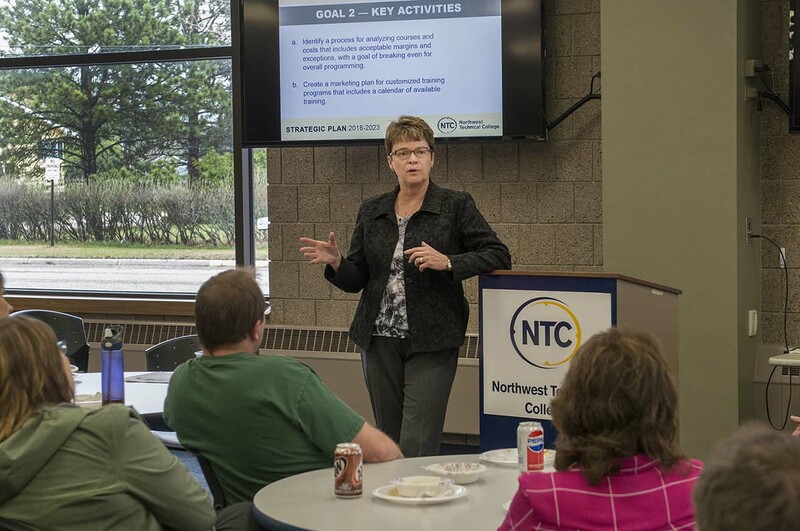 Hensrud said the draft plan will be revised over the next two months, and it will be implemented beginning July 1.